An outdoor swing set is an excellent way to keep the children engaged in an activity that provides them wholesome entertainment. Furthermore, it helps to enliven the otherwise bare backyard. 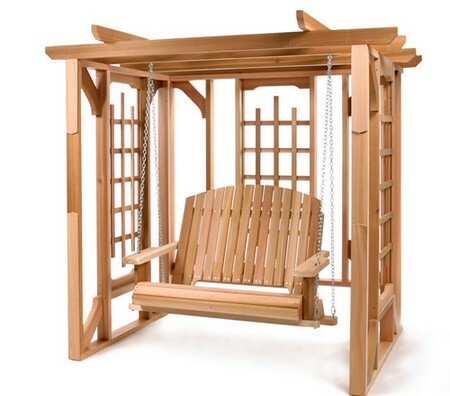 The good thing about the set of swings is that it can easily be built and installed. All that is needed is the right kind of materials and tools. Here is a stepwise procedure to build a swing set with ease. 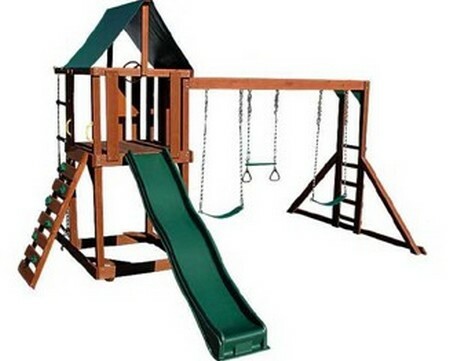 As the elements of nature would act upon the swing set, therefore pressure treated wood is considered to be the best. At least 48-feet of 2×6 and 20-feet of 2×4 wood would be needed. Make sure that one of the pieces of the 2×6 wood is 12-feet in length. It will be used to make the top support of the swing. It is advisable to purchase 5 to 10 percent of wood in excess. This will serve as a backup for mistakes. Cut 2×6 plank into 4 pieces, each measuring 8-feet. These will form the legs of the swing. For the beam, 12-feet plank would be used. Use carpenter’s angle to mark the position of the leg pieces. Normally, 45 degree angle is considered to be appropriate. Cut the leg support depending upon the angle. To attach the legs to the beam, first drill holes on the leg support as well as the beam. Insert the long bolt into the leg and then in the beam. Thereafter, place the lock washer followed by the steel washers and nuts. In the end, affix the triangular nail plate. Select a location for installation of the swing set in the backyard. Mark the position of the four legs. With the help of a digger, dig out mud to make a hole that is approximately 36-inches deep. Set the swing stand in the holes and pour concrete and cement mixture in the hole. Fix 4 eye bolts into the beam, and with the aid of heavy-duty steel clips attach the chains. Finally, fasten the swings to the chains. With this the swing set is ready for use.